The current best credit card deals - the benefits? - Winningback | Shopping and Finance Blog, Reclaim your finances today! The current best credit card deals – the benefits? Whether you want to improve your finances, or manage the way you spend, it’s important to stay on top of the best credit card deals. The right credit card could make a big difference to your life, so do your research and reap the rewards. By keeping up-to-date with the latest news and offers, you could enjoy the best interest rates and prices on the market. You’ll reduce your monthly outgoings by selecting the right card and will be able to make well-informed banking decisions. MBNA’s Platinum Credit Card, for instance, is a website exclusive and offers a great 0 per cent promotional rate on balance transfers and money transfers, so keep a look out for money-saving deals. Did you know that you can be rewarded for spending? That’s right, with many credit cards you’ll earn points or discounts, which can then be redeemed for goods and services including high-street vouchers and much, much more. Rewards cards are ideal for people who are happy to use their credit card for everyday spending and have all the normal features of a traditional credit card. 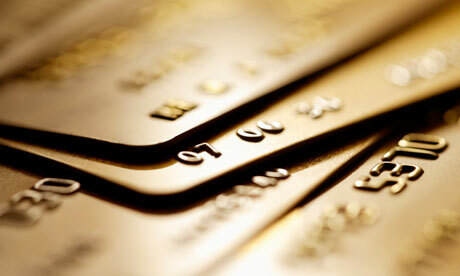 With many credit cards you can become part of something special. Football credit cards, for example, are a great way to support your team while benefiting from football rewards, competitive rates and discounted merchandise. You’ll also be able to make contributions to your club at no expense to you and can make the most of great introductory rates. There is also a wide range of rugby credit cards available, so you’ll have plenty of choice. Do you have one or more store cards? Are you struggling to keep on top of your finances? If so a balance transfer could really help. It allows you to transfer all or part of your debt to a 0 balance transfer credit card and will enable you to pay back debt at a lower interest rate. What’s more, all your debt will be in one place, so you’ll only have one bill to think about – helping you to organise your finances. Keeping on top of the best credit card deals certainly has its benefits, so make sure you choose a card that suits you.